It works! Grit stays on the bottom so you don't wash the vehicle a second time with the gunk you took off the first time! 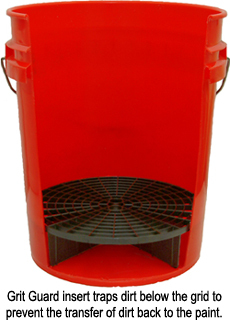 Its a bucket that holds water as designed, but the Grit Guard makes it a 5 star bucket!! !